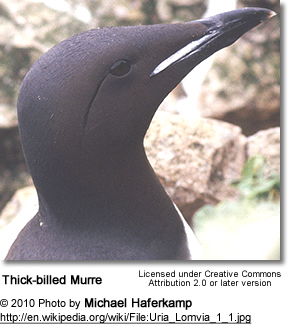 The Guillemots comprise two genera of auks: Uria and Cepphus. The former are relatives of the Razorbill, Dovekie and the extinct Great Auk and together make up the tribe Alcini, while the latter form a tribe of their own, the Cepphini. U. brodkorbi is interesting insofar as it is the only known occurrence of the Alcini tribe outside the Atlantic. 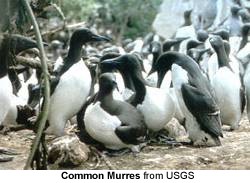 It suggests that the murres, which are the sister taxon to all other Alcini but like them are usually believed to have evolved in the Atlantic, actually evolved in the Caribbean or at any rate close to the Isthmus of Panama. The latter two resemble the extant species, but because of the considerable distance in time or space from their current occurrence, they may represent distinct species.